Using some time during the weekend, I decided to finally explore one the new features in the coming Scala 2.10, macros. Macros are also written in Scala so in essence a macro is a piece of Scala code, executed at compile-time, which manipulates and modifies the AST of a Scala program. should have the same effect as the first snippet (it should generate code similar to the one above). Let’s see step-by-step how to implement such a macro. 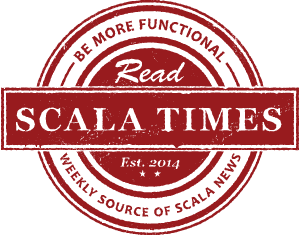 There’s a good getting started guide on the scala macros page, which I used. All code explained below is available on GitHub, in the scala-macro-debug project. To experiment comfortably we’ll need to setup a simple project first. We will need at least two subprojects: one for macros, and one for testing the macros. That is because the macros must be compiled separately and before and code that uses them (as they influence the compilation process). Moreover, the macro subproject needs to have a dependency on scala-compiler, to be able to access the reflection and AST classes. A simple SBT build file could look like this: Build.scala. “Hello World!” is always a great starting point. So my first step was to write a macro, which would expand hello() to println("Hello World!") at compile-time. we have to import language.experimental.macros, to enable the macros feature in the given source file. Otherwise we’ll get compilation errors reminding us about the import. the macro implementation has two parameter lists: the first is the context (you can think about it as a compilation context), the second mirrors the parameter list of our method – here it’s empty. Finally, the return type must also match – however in the method we have a return type unit, in the macro we return an expression (which wraps a piece of an AST) of type unit. first we import the “universe”, which gives convenient access to AST classes. Note that the return type is c.Expr – so it’s a path-dependent type, taken from the context. You’ll see that import in every macro. as we want to generate code which prints “Hello World!”, we need to create an AST for it. Instead of constructing it manually (which is possible, but doesn’t look too nice), Scala provides a reify method (reify is also a macro – a macro used when compiling macros :) ), which turns the given code into an Expr[T] (expressions wrap an AST and its type). As println has type unit, the reified expression has type Expr[Unit], and we can just return it. 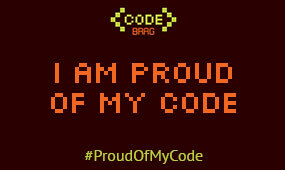 and run the code (e.g. with the run command in SBT shell). The first difference is that the method accepts a parameter param: Any. In the macro implementation, we have to mirror that – but same as with the return type, instead of Any, we accept an Expr[Any], as during compile-time we operate on ASTs. The second difference is the usage of splice. It is a special method of Expr, which can only be used inside a reify call, and does kind of the opposite of reify: it embeds the given expression into the code that is being reified. Here, we have param which is an Expr (that is, tree + type), and we want to put that tree as a child of println; we want the value that is represented by param to be passed to println, not the AST. splice called on an Expr[T] returns a T, so the reified code type-checks. Let’s now get to our debug method. First maybe let’s implement a single-variable debug, that is debug(x) should be transformed into something like println("x = " + x). The new thing is of course generating the prefix. To do that, we first turn the parameter’s tree into a String. The built-in method show does exactly that. A little note here; as we are turning an AST into a String, the output may look a bit different than in the original code. For vals declared inside a method, it will return simply the val name. For class fields, you’ll see something like DebugExample.this.myField. For expressions, e.g. left + right, you’ll see left.+(right). Not perfect, but readable enough I think. Secondly, we need to create a tree (by hand this time) representing a constant String. Here you just have to know what to construct, e.g. by inspecting trees created by reification (or reading Scala compiler’s source code ;) ). Implementing the full debug macro, as described above, introduces only one new concept. The full source is a bit long, so you can view it on GitHub. In the macro implementation we first generate a tree (AST) for each parameter – which represents either printing a constant, or an expression. Then we interleave the trees with separators (", ") for easier reading. Finally, we have to turn the list of trees into an expression. To do that, we create a Block. A block takes a list of statements that should be executed, and an expression which is a result of the whole block. In our case the result is of course (). That’s quite a long post, glad somebody made it that far :). Anyway, macros look really interesting, and it’s pretty simple to start writing macros on your own. You can find a simple SBT project plus the code discussed here on GitHub (scala-macro-debug project). And I suppose soon we’ll see an outcrop of macro-leveraging projects. Already there are some, for example Expecty or Macrocosm. EDIT 9/3/2013: the macro is now available in Maven central, see the README.